Few companies in history have ever been as successful and as admired as Google, the company that has transformed the Internet and become an indispensable part of our lives. How has Google done it? Veteran technology reporter Steven Levy was granted unprecedented access to the company, and in this revelatory book he takes readers inside Google headquartersâÈ'the GoogleplexâÈ'to show how Google works. While they were still students at Stanford, Google cofounders Larry Page and Sergey Brin revolutionized Internet search. They followed this brilliant innovation with another, as two of GoogleâÈçs earliest employees found a way to do what no one else had: make billions of dollars from Internet advertising. With this cash cow (until GoogleâÈçs IPO nobody other than Google management had any idea how lucrative the companyâÈçs ad business was), Google was able to expand dramatically and take on other transformative projects: more efficient data centers, open-source cell phones, free Internet video (YouTube), cloud computing, digitizing books, and much more. 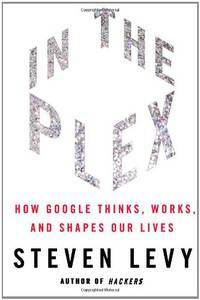 The key to GoogleâÈçs success in all these businesses, Levy reveals, is its engineering mind-set and adoption of such Internet values as speed, openness, experimentation, and risk taking. After its unapologetically elitist approach to hiring, Google pampers its engineersâÈ'free food and dry cleaning, on-site doctors and masseusesâÈ'and gives them all the resources they need to succeed. Even today, with a workforce of more than 23,000, Larry Page signs off on every hire. But has Google lost its innovative edge? It stumbled badly in ChinaâÈ'Levy discloses what went wrong and how Brin disagreed with his peers on the China strategyâÈ'and now with its newest initiative, social networking, Google is chasing a successful competitor for the first time. Some employees are leaving the company for smaller, nimbler start-ups. Can the company that famously decided not to be evil still compete? 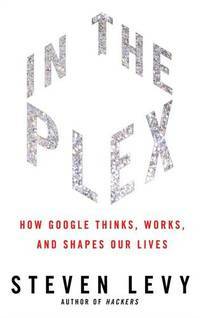 No other book has ever turned Google inside out as Levy does with In the Plex . Simon & Schuster, 2011. Hardcover. Good. Disclaimer:A copy that has been read, but remains in clean condition. All pages are intact, and the cover is intact. The spine may show signs of wear. Pages can include limited notes and highlighting, and the copy can include previous owner inscriptions. At ThriftBooks, our motto is: Read More, Spend Less.Dust jacket quality is not guaranteed. Simon & Schuster, 2011. Hardcover. Good. Disclaimer:A copy that has been read, but remains in clean condition. All pages are intact, and the cover is intact. The spine may show signs of wear. Pages can include limited notes and highlighting, and the copy can include previous owner inscriptions. An ex-library book and may have standard library stamps and/or stickers. At ThriftBooks, our motto is: Read More, Spend Less.Dust jacket quality is not guaranteed. Simon & Schuster, 2011. Hardcover. Good. Disclaimer:A copy that has been read, but remains in clean condition. All pages are intact, and the cover is intact. The spine may show signs of wear. Pages can include limited notes and highlighting, and the copy can include previous owner inscriptions. The dust jacket is missing. At ThriftBooks, our motto is: Read More, Spend Less. Simon & Schuster, 2011. Hardcover. Acceptable. Disclaimer:A readable copy. All pages are intact, and the cover is intact. Pages can include considerable notes-in pen or highlighter-but the notes cannot obscure the text. At ThriftBooks, our motto is: Read More, Spend Less.Dust jacket quality is not guaranteed. Simon & Schuster. Hardcover. 1416596585 Missing dust jacket. Has tabs. Acceptable Condition. Five star seller - Buy with confidence! . Fair. Simon & Schuster. Used - Very Good. Light to moderate shelf wear. Complete. Clean pages. Simon & Schuster. Hardcover. 1416596585 Satisfaction Guaranteed. Please contact us with any inquiries. We ship daily. We only ship Internationally via FedEx with tracking which is why our shipping price might be higher than others. . Good. Simon & Schuster. Hardcover. 1416596585 No CD Included. Access code may be previously used. Moderate dirt wear, wrinkling or creasing on cover or spine. Good binding. Moderate writing and highlighting. Cover has used book stickers or residue. Marker on cover or bottom edge of book. . Good. 2011. Simon & Schuster, 2011-04-12. Hardcover. Like New. Simon and Schuster, 2011-04-12. Hardcover. New. GREAT Bargain Book Deal - some may have small remainder mark - Ships out by NEXT Business Day - 100% Satisfaction Guarantee! Simon & Schuster. Hardcover. 1416596585 Excellent Condition. . Fine. Simon & Schuster, 2011-04-12. Hardcover. Good. Simon & Schuster, 2011-04-12. Hardcover. Very Good. Hardcover and dust jacket. Good binding and cover. Simon & Schuster, 2011-04-12. Hardcover. Good. Dust jacket has edge bumping and light spoiling. Text unmarked, pages tanning. Good solid binding. Ships Next Business Day.